The Holidays have me neglecting all sorts of things, like feeding children, “What do you mean it’s been four days since you’ve eaten?” and perusing stats. 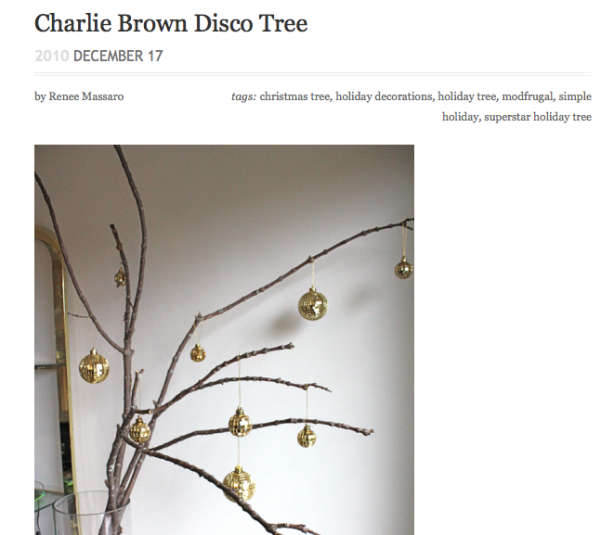 A belated thanks to Megan at Urban Casita and Renee at the Modernica Blog for liking our holiday disco action.Â I love Renee’s description of it, a “Charlie Brown Disco Tree.”Â So true.Â Modernica post is here. Also, a big thanks to sfgirlbybay, and Shelterrific for digging my gift guide!